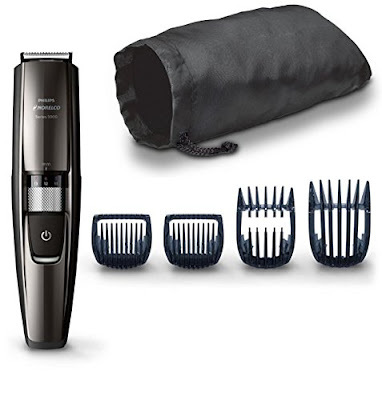 Today only, while supplies last, get this Philips Norelco Beard and Head trimmer Series 5100 for ONLY $39.95! This Philips Norelco Beard, Head and Body Trimmer is engineered for an effortless even trim to achieve exactly the 3-day stubble, short beard or long beard look you want. Our new integrated hair lift comb lifts and guides hairs into the self-sharpening steel blades for an efficient one pass trim. After styling your beard, use the short and long hair clipper combs to touch up your hair style. The body comb lets you trim your body to any length you desire.